The ABS Snap Secure Cylinder from Avocet Hardware has become the first high security cylinder on the market to achieve the new Sold Secure Diamond standard. Sold Secure is dedicated to reducing the risk of crime by the assessment of security products. The ABS Cylinder already has Secured by Design and British Kitemark accreditation, and achieves PAS024 on various PVC-U and composite door sets without the need for additional security measures such as security handles or cylinder guards. The ABS Snap Secure Cylinder is available keyed alike and can be master-keyed so there’s no need for different keys for each door. It comes with a suite of padlocks which can also be keyed alike with the door locks. 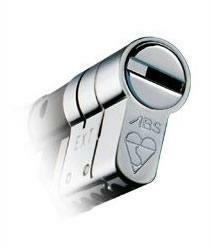 ABS Cylinder’s are now in stock at Calder Security. For more information call us on: 01924 371 941.